Indian culture is one of the oldest cultures of the world, drawing its roots around 5000 years ago. 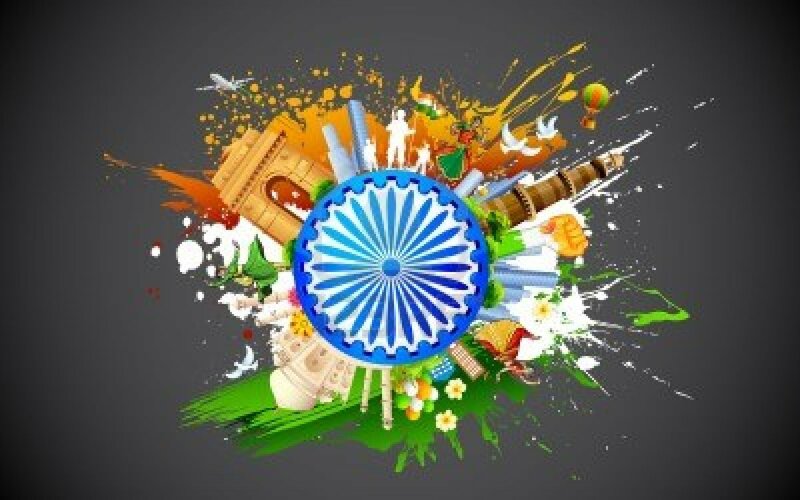 The culture of India has been described as “Sa Prathma Sanskrati Vishvavara” meaning that Indian culture holds preeminence over all the other cultures of the world. Diversity of food, languages, religion and yet that unbeatable unanimity makes India to set an impeccable example when it comes to cultures. Diwari: This dance is performed particularly during the time of Deepawali. The story behind this majestic dance is lord Krishna raised “Govardhan Parvat” to save the lives of people and later he danced in joy. The dancers also dance in a similar way wearing colorful costumes holding sticks or peacock feathers in hand. The dance is also performed as a ‘thanks giving’ after harvesting of the crops. Popular instruments of this dance are ‘dholak’ and ‘nagari’. 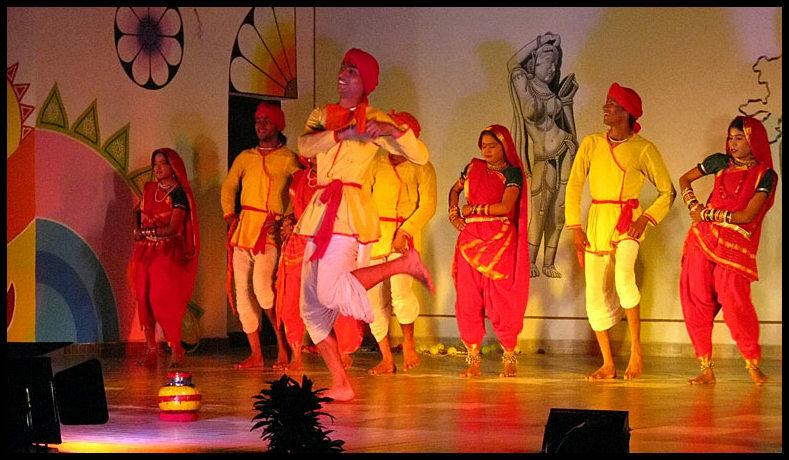 Ravala: it is a popular dance drama of this region. The farm labor community performs this dance during the weddings in their families. It is performed with funny expressions and humorous actions. Badhaiya: It is a popular ceremonial dance that is performed during auspicious ceremonies in the families of Bundelkhanda like child birth, marriages etc.. With rhythm and movements, they greet for the occasion. Raai: it is basically a folk dance of Bundelkhand region. Raai means mustard seeds. When mustard seeds are put in a saucer they swing. Similarly, natives of the region also swing around when singer sings tales and songs. It is sort of a competition between the beats of music and the dancers. The drummer and the dancer try to win each other and the competition leads to a bliss. Similar popular dances include Pahunai, Horse dance, Kachhiaayi. Faag: Faag songs and its rhythmic music could be heard in the whole Bundelkhand region during spring season when the crops are ready for harvesting. Phag was enriched in the early twentieth century by a folk poet Isuri (born 1881, in Mauranipur, Jhansi) who is credited to have composed over a thousand Faags. Alha: When farmers are free from their agricultural jobs during heavy monsoon and they cannot move anywhere, sitting at one place Alha recital makes their emotions awake through the description of heroic deeds of Alha and Udal, who fought on the side of the Chandelas in the war against Prithiviraj Chauhan.. The Alha repertoire of lyrics has been continuously enriched by different authors at different times. Dadre and Gari: This is the main folk lore of Bundelkhand. As a ‘Gari’ they show the happiness and joy to express their feeling for the blissful movement when the auspicious marriage is taking place. They evoke the feelings in the heart of bride and groom with love and romance. ‘Dadre’ is sung by a group of ladies to bless the newlywed couple. Lamtera (call of god): Lamtera songs are sung by Bundeli pilgrims during devotional festivals of Bundelkhand in the month of January, February and March after rabi crop in winter blossoms. Farmers after seeing their crops flowering, their hearts and minds also bloom like a flower. To show their gratitude to the God, the devotees offer the flowers of their emotions to the lotus feet of the God. They realize that the whole year passed in day to day life, and with the feeling of spring season they want to get blessed by going to the pilgrimage places, temples and to take the holy bath in the rivers. Similar popular folk music includes Kaharwa, Sohar, Got, Ahri etc. Both, dance and music are accompanied by the melodious instruments dholak, nagadiya, pakhawaj. Besides these wind instruments flute, shahnai are used. Many folk arts have evolved around regional festivals, such as ‘Navami’ drawings and designs made on the occasion of Kajri Navami in the monsoons. The drawings are made with a solution of pounded rice on floor cleaned with cattle dung, in a dark room of the house in which women place cups made of leaves containing mud from a particular field. Seedlings of wheat or barley are grown in the cups and worshipped for 15 days. Only then are sowing operations commenced. Bundelkhand, despite of being a small region in Madhya Pradesh matches to the standards of Indian culture and has set an impeccable example in terms of art and culture. The ambrosial food of India has always fascinated everyone be it people from India or outside India. 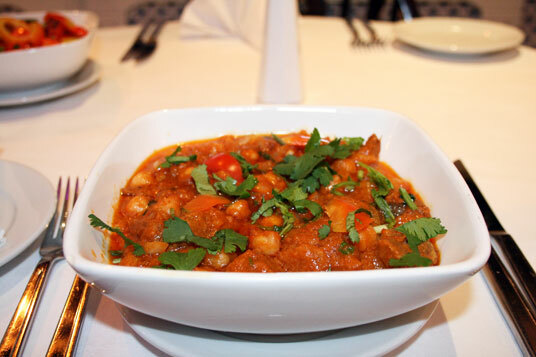 Indian food is the richest amongst the various cuisines of the world. 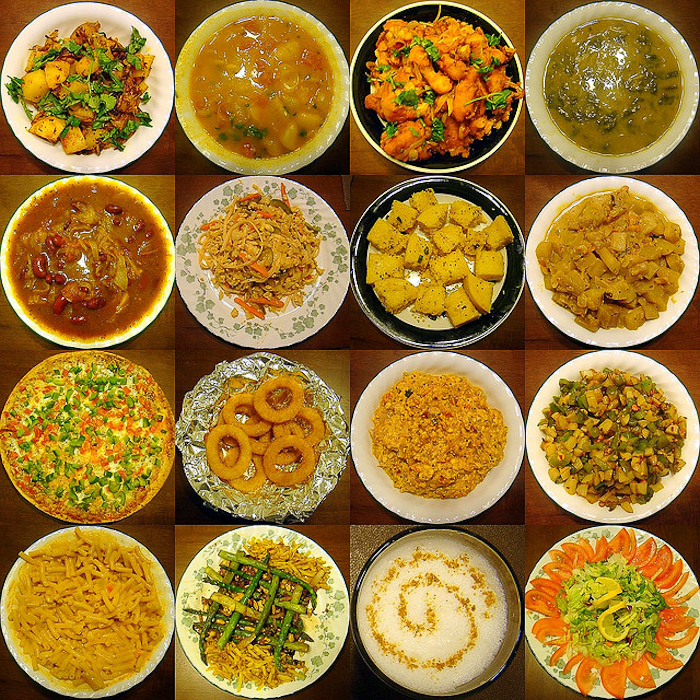 Rather than having a fixed specialty, Indian food is concentrated towards region. Indian food carries the day with not only its piquant food but also for the style involved in its cooking. Food of India is known for its spiciness and rich flavor. It is believed that more the spices used in food, better its taste is going to be. Cinnamon, cardamom, cumin, cloves, asafetida, nutmeg and many more are amongst the popular Indian spices that are also known as ‘Khada Masalas’. Food of Madhya Pradesh is amongst the favorite on the charts of food lovers and food connoisseurs. 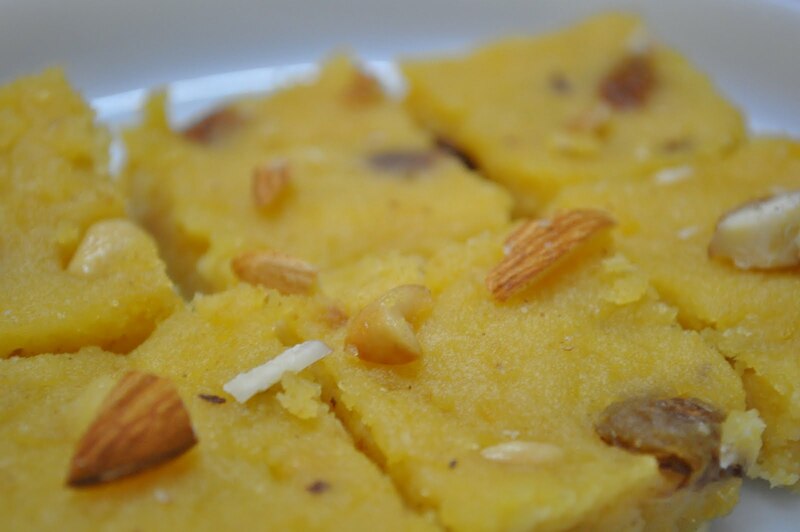 Popular delicacies of Madhya Pradesh include an array of vegetarian, non vegetarian and lip smacking desserts. The USP of the food of this incredible state is the generous use of Indian spices, condiments and oils. Though cuisines of M.P. has influences from its neighboring states, the people of this state have added a distinct taste to each of the dish with their cooking prowess. The most popular delicacy amongst the food of M.P. is “bhutte ki kees”. This scrumptious dish is made in corn and milk. The other popular delicacies include “chakki ki shaak”, “mawa baati”, “khoprapak”, “malpua” and many more. that is served with rice or ‘makai roti’. 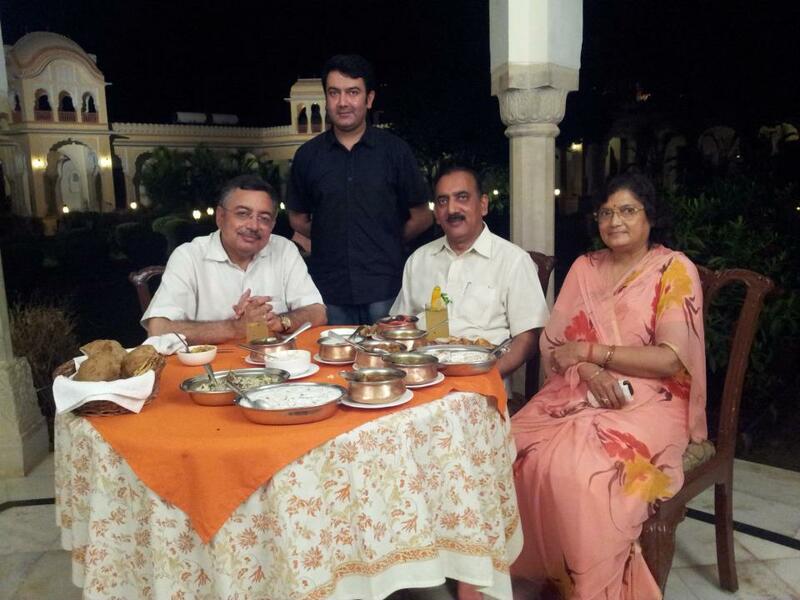 The food of Bundelkhand has been acclaimed nationally by Mr. Vinod Dua in his show “Zaayka India Ka”. The food of Bundelkhand is also described a “a perfect tribal food experience”. Other famous and heavenly dishes of this region include “Kunde ka bhatta”, “tapu”, “Murar ka kebab”. Albeit there are very few desserts of this tribal region but each and every dessert is a must try delicacy. 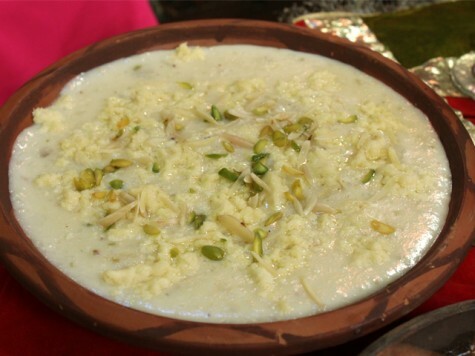 The best of them is “Raas ki kheer” that is prepared by ‘mahua flowers’, milk and millets. Interestingly, there is no sugar added to this dessert. It has got sweetness of its own. And when we talk about the food of Orchaa, Amar Mahal needs a special attention because of its special food. Amar Mahal probably serves the best food of Bundelkhand. This has been proven when one of the best food critic and host of the popular tv show “Zaayka India Ka” came to Amar Mahal and tried all the succulent Bundelkhandi dishes and he was blown away by the ambrosial taste of the delicacies. 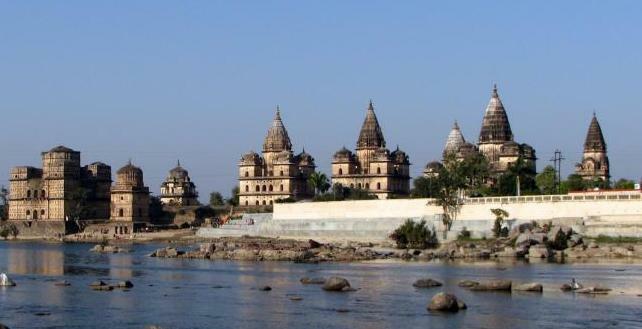 Situated on the bank of river Betwa, Orchaa is a small town in Tikamgarh district of Madhya Pradesh. It was established in year 1501 by Maharaja Rudra Pratap Singh- the first king of Orchaa. 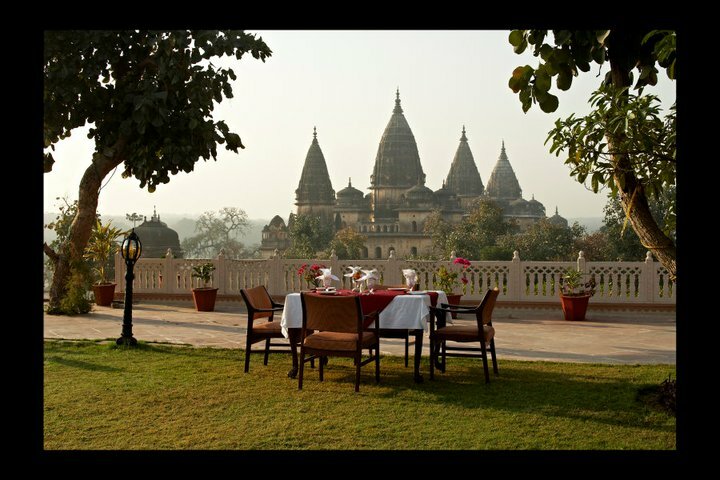 From ‘Ram Raja’ temple to ‘Jehangir Mahal’, Orchaa has got what it takes to complete your vacations. Orchaa takes you to the bygone era of the ‘Moghul Maharajas’ and at the same time give you the insights of the lives of Indian farmers- their lives and challenges. Beyond the commercial tourism if you want to peep into a typical village life of India then Orchaa is the right place to hit. Nestling by the side of Betwa river and picturesque views of various cenotaphs and chatris of Orchaa make Amar Mahal a quintessential stay for the tourists visiting Orchaa. Standing erect on the river, Amar Mahal presents one of the finest examples of the ‘Moghul Architecture’ in the contemporary scenario. Intricately carved pillars, domes, arches simply bind you to the aura of this picturesque property. Amar Mahal boasts of 46 fully furnished and opulent rooms with each and every room facing the lush green exteriors and cenotaphs of Orchaa. All the rooms feature evocative royal Indian interiors that are dramatic play wood art and gold work. Amar Mahal offers its guests the most authentic Bundelkhandi food. Beside trying sumptuous cuisine of Bundelkhand one can also try other Indian, continental and Chinese food. Beside luxurious suits and piquant food, Amar Mahal provides various other relaxing and soothing services. One can have ravishing experience with tranquilizing head massage that will release all your stress instantly. 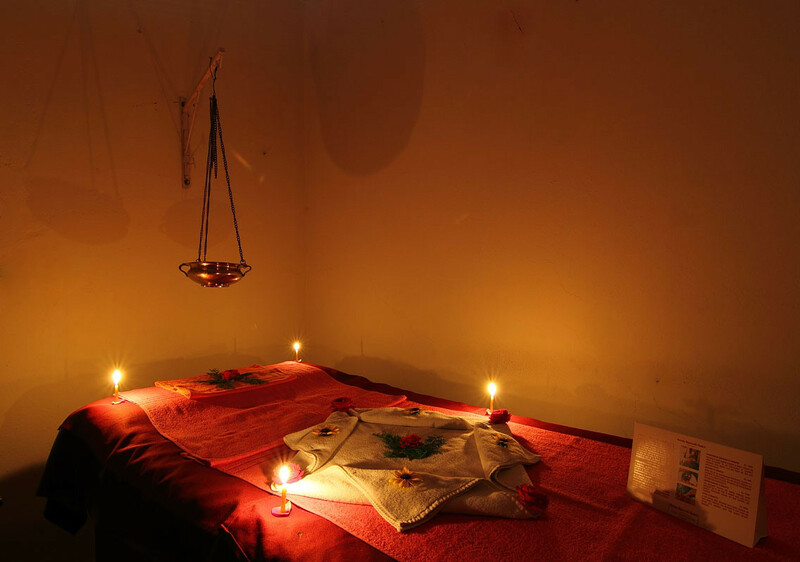 You can also recreate and rejuvenate yourself with relaxing ‘Kerela Ayurvedic Massage’ that will not only bust your stress but will also unplug you from the world. Amid the silent starry night, you can have a peaceful time with your family and enjoy the sounds of water rippling. You can also have an ultimate bird watching experience with different species of birds making an appearance. One can also get rid of scorching heat with aqua fun experience with water rafting in Betwa river during stay at Amar Mahal. Over the time, Amar Mahal has also emerged as one of the favorite royal wedding destinations. Since wedding is considered to be one of the most divine, sanctified, and tremendous event’s of one’s life. 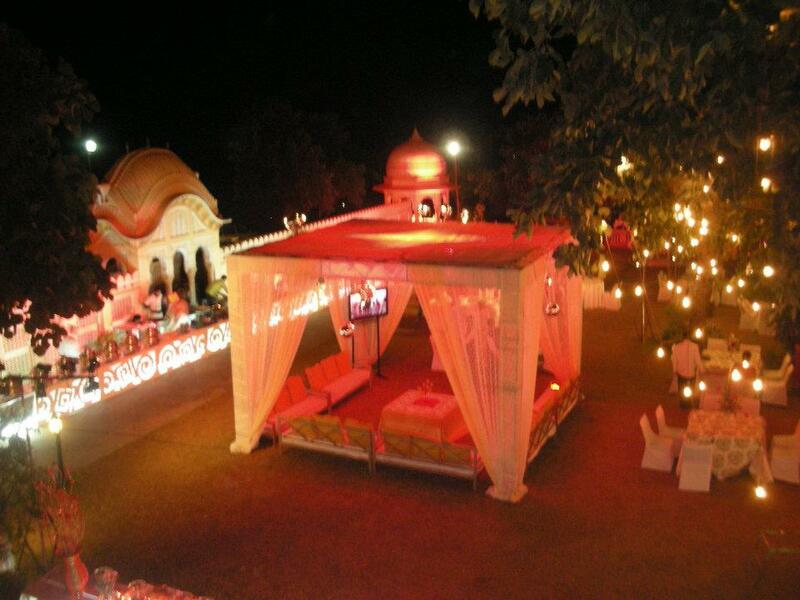 The quality of facilities provided at Amar Mahal make your wedding and stay a majestic and whimsical one. Conclusively, Amar Mahal sure is the perfect spot to explore heritage from the lap of luxury filled nature and culture. 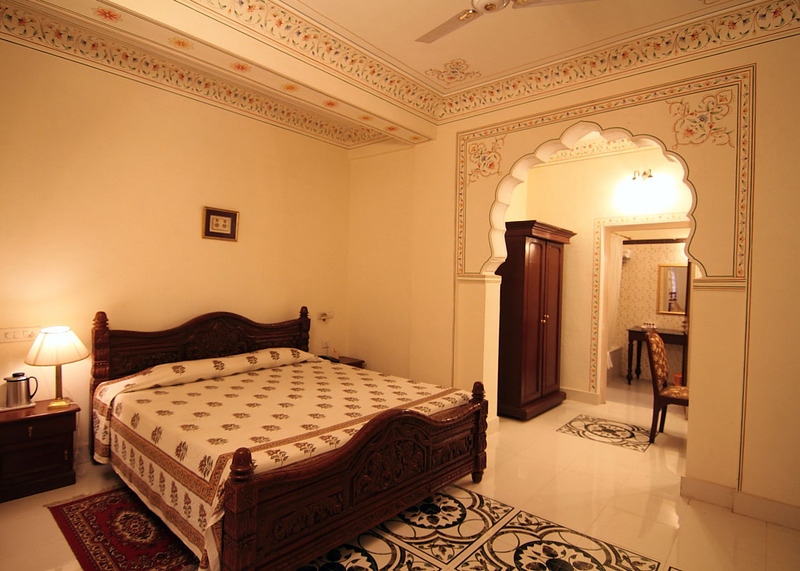 While planning a trip to Orchaa, Stay at Amar Mahal is highly suggested. Orchaa is a small town in the Tikamgarh district of Madhya Pradesh. Nestling on the bank of Betwa river Orchaa is 80 K.m. 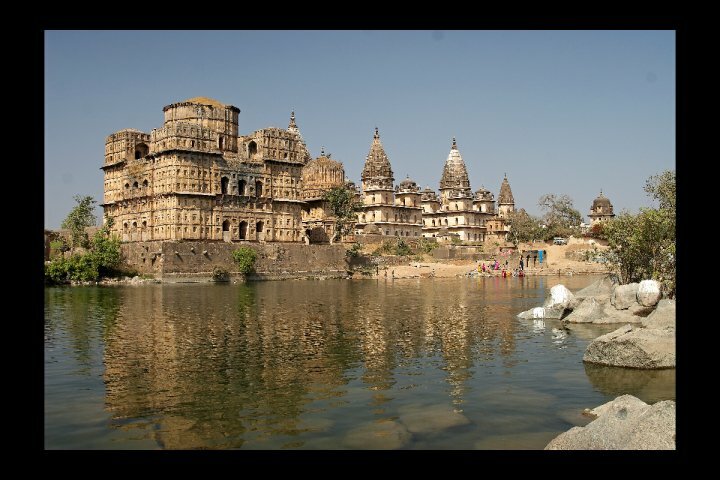 away from the Tikamgarh district.Though Orchaa cannot be termed a paradise destination for shopaholics but still this incredible and small region of Tikamgarh has got to offer tourists and local visitors a lot from its local handicrafts market. The handicrafts of Orchaa reflecting its local flavor is quite popular amongst the tourists. Bazaars of Orchaa provide tourists with recreation who come from the various parts of the world as well as from India. These bazaars are characterized like any other typical Indian markets with hustle bustle on the streets, hawking calls of the shopkeepers to attract the tourists, and not to be forgotten the typical bargaining of the Indian markets. The most popular commodity from the streets of Orchaa is the traditional Dhokra hand crafted commodities which are exquisite and one of a kind. 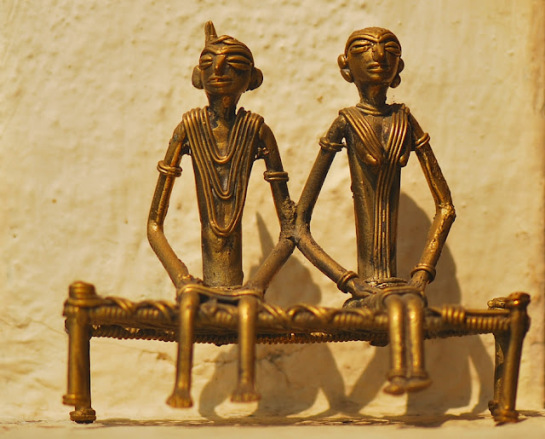 Dhokra handicraft derives its name from the Dhokra Damar tribes, who are the traditional metal smiths of West Bengal. But they have extended to regions of Chattisgarh as well. The products of Dhokra artisans are quite popular in Indian as well as overseas markets because of primitive simplicity, enchanting folk motifs and forceful forms. 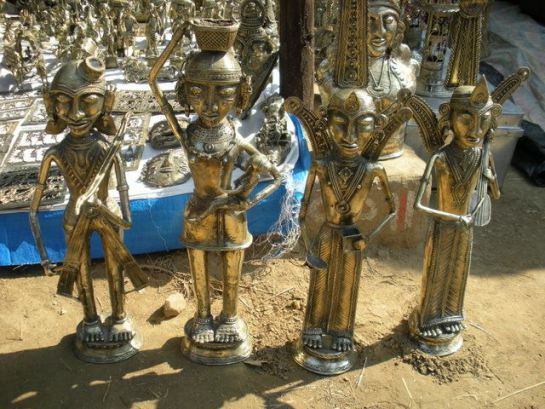 Objects such as gods, goddesses, mementoes, trophies, souvenirs, showpieces are made and sold in the markets of Orchaa. Intricate designing and carving on the artifacts make them quintessential for the home adornments. The peculiarity of this art form is that no two artifacts resemble each other and each artifact is finished with great finesse. Thus, Dhokra handicraft will truly mesmerize and captivate you. Make sure you buy these incredible hand crafted pieces to adorn your Bella- Casa.